The Deep Tissue Massage vs. Swedish Massage. What is the Big Deal about them? The need for total relaxation and relief from muscular pain is having everyone running to alternative therapy. People are suffering from back and neck pains from the posture they take at their places of work and home. This is as they use the technological devices supposed to make their job easier – they do, but they also bring along a raft of health problems. The search for the right therapy for the lifestyle associated problems is introducing such terms as deep tissue massage and Swedish massage into their vocabulary. You may be among those that have come across them but don’t know what they actually mean – you probably have an idea. In the following write up, we delve into the deep tissue vs. Swedish massage debate so you may have better knowledge the next time you meet the masseuse – you may also surprise them with what you know. Yes, you guessed it right that this just one among many massage techniques available to you at the spa. But what may surprise you is that it does not originate in Sweden. It may, however, have something to do with Johan Georg Mezger, a Dutch practitioner thought to be the originator and who referred to it as the classic massage. The massage technique is by nature western, and it makes use of several movements meant to promote relaxation and enhance blood flow. The specific massage movements include kneading, sliding movements, rubbing, vibration, and percussion. Others include joint movements – both active and passive and joint stretching and bending – of course with the aid of a masseuse, not by yourself. Swedish massage also brought about other techniques such as lymphatic drainage and medical massage. There are also spa treatments that include pregnancy massage, aromatherapy, hydrotherapy, chair massage and geriatric massage among others – all are Swedish massage offshoots. What you need to know about the deep tissue vs. Swedish massage is that Swedish massage is a bit lighter than the deep tissue massage – of course, the term is self-explanatory. And, if you have a choice – which you always do – always choose a deeper massage as it is always better. 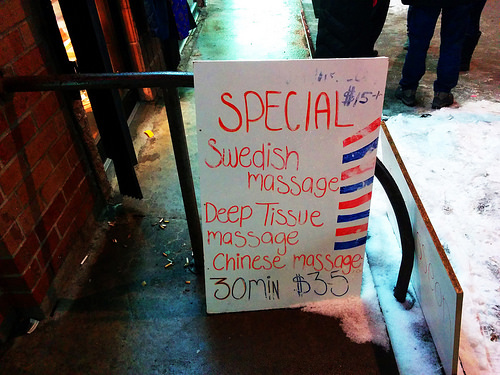 And why should you get a Swedish massage from time to time? Well, the numerous associated benefits should be reason enough – sort of. They include reduced blood pressure, increased blood flow, reversal of the impacts of stress and better immune function. If you start receiving regular Swedish massages, be sure that you will be more energetic, healthier, less stressed and have a stronger immune system – you will fall ill less often. Watch this video for more on the same. Who should take Swedish massage? As mentioned above, a Swedish massage has a host of benefits, and that should convince you to get the treatment on a regular basis. However, if you are suffering from the following ailments, then it is imperative you get one in the shortest time possible. Stress is now quite a common problem among the contemporary folks. There is just so much to do and achieve, and that has taken a toll on our health. However, a Swedish massage is an excellent way to alleviate this stress so you can back to being at your best. In a way, the Swedish massage encourages the release of good hormones in your body playing an essential role in the healing process. There is serotonin, and there is oxytocin. Well, serotonin helps you calm down, and oxytocin produces the feel-good effect counteracting the stress and its impact. And if you have trouble sleeping, then the massage therapy may be what you need. One hormone responsible for good quality sleep is melatonin. This hormone comes from serotonin that Swedish massage helps in its production. Naturally, more Swedish massage translates to better sleep. Among the several causes of sleepless nights include high-stress levels. And we now know that Swedish massage helps reduce this stress. Therefore, you will not have anything preventing you from drifting off to sleep. Are you getting worried that you might catch something from the office? A sort of flu going around and you know it is just a matter of time before it gets to you? Then a Swedish massage may do you some good. And, how so? Well, the massage will allow the lymph to flow freely into your bloodstream. This fluid is unique as it contains white blood cells that fight the disease-causing bugs. That means you will be strolling around without catching whatever your co-workers are having. And if you are suffering from painful muscles, maybe because of the added exercise intensity, the Swedish massage will be a good thing for you. Perhaps you have decided to increase the intensity of your current exercise – well, that is not a bad thing, but it will also come with some side effects which the massage will help deal with. The leading cause of headaches may be poor circulation or even stress. A single dose of the massage will enhance blood flow and take away bad vibes. Many will testify as to the effectiveness of the massage on headache and migraines. The Swedish massage just like other massage techniques has contraindications. In other words, there some situations that you should avoid the massage or there would be adverse consequences. Among them are inflammatory conditions such as swelling, redness, and heat. Getting the massage with a sprain, bursitis or arthritis among others would worsen the condition. You should also avoid the massage if you have varicose veins. A deep massage such as kneading would lead to more damage. And if you have a blood clot, a massage would dislodge it, and it may move to a critical organ causing a stroke or even heart attack – not a good thing. A massage would lead to tissue damage if an individual living with hemophilia – avoid the Swedish massage like the plague. The primary goal of a deep tissue massage is not to cause pain, but rather to stretch the fascia to accrue the associated benefits. And what is fascia? Fascia is the layer that protects the bones muscles and joints. The massage technique also focuses on deepest sections of the tendons and tissue. The deep tissue massage goes deep to enhance the range of motion and change posture. It eliminates adhesions and contracture on the muscles. The deep tissue practitioners make use of their fists, thumbs, fingers, forearms, and elbows to work on the muscles and the fascia. This technique causes micro-tears on the fascia that eventually populate with elastin and collagen creating more flexible muscles – this is what we are calling enhancing the range of motion. And the deep tissue vs. Swedish massage differences lies in the objective of each. Swedish massage is for relaxation, better sleep, improved mood and better health. The deep muscle massage is all about pain relief for those suffering from muscle pains. It also enhances the range of motion and is pretty good for athletes – it improves their performance. Who should take deep tissue massage? A deep tissue massage is suitable for those stressed out because of one thing or another. The technique enhances blood flow and ensures the release of good hormones. It is always imperative to get rid of any kind of stress before it can do any considerable harm. Research indicates that up to 80% of doctor’s visits come from stress-related problems. You can get a scar tissue by injuring a part of your body. When it heals, there may remain some problems with flexibility, and this is where the deep tissue massage comes in. Scars can also happen deeper into the tissue when damage tendons or muscles. This often happens to athletes and footballers – and the massage can help resolve any lack of motion as a result. People suffering from issues like high blood rate and high blood pressure can benefit from the massage technique. As a matter of fact, studies show that a 45-60 minute session of the massage can have a positive effect on the systolic and diastolic pressure – this is, of course, a good thing. With deep tissue massage, the therapist must apply a considerable amount of force to the muscles to reach fascia. This apparently results in some level of discomfort and even pain. However, that does not mean you should suffer in silence as the therapist works on the scar tissues and adhesions. Tell them, and they may adjust accordingly to a comfortable level – bearable level, of course. The therapist can prep the tissues if they are tense and the pain may reduce to a tolerable level. Feeling pain is not always a sign the massage is finally working. In particular situations, the tissues may actually react in response making it harder for the therapist to reach the appropriate tissues during a massage session. Some of the possible side effects of having a deep tissue massage include bruising, hepatic hematoma, venous thromboembolism, and posterior interosseous syndrome. Even though the deep tissue massage has a raft of benefits, it is not always good. If you have a blood clot, a massage can easily dislodge it, and the consequences are dire. If you suspect you have blood clots or have conditions that may lead to blood clots, it is always wise to seek an opinion from your physician – don’t risk it. Post-surgery, radiation and chemotherapy patients should first check with their physician before embarking on the massage technique. Those suffering from osteoporosis are better off avoiding it, entirely. The massage should also not pass through bruised, inflamed or wounded areas. Recent fractures, fragile bones, hernia, and tumors are other conditions that should make you avoid the massage. And if you are expectant or suspect you are pregnant, it is probably a good thing to avoid a deep tissue massage. This massage involves the application of intense pressure, and it is not always desirable for the unborn. However, your doctor may know a qualified masseuse in pregnancy massage – the safer option. And to wrap up the deep tissue vs. Swedish massage debate, it is important to note that the two techniques are entirely different from each other. The amount the intensity used on each of them is different. Their objectives also vary where the Swedish massage is more for relaxation, better health, and better sleep. A deep tissue massage is the better option for athletes and those scar tissues within them. It is best for those dealing with reduced flexibility and range of movement. However, the two massage varieties will enhance circulation, reduce stress and enhance the healing process. Make sure you get the massage from a qualified masseuse – you don’t want to get injuries from an unqualified but cheap quack.